Seriously, Jill?? You are stunning!! 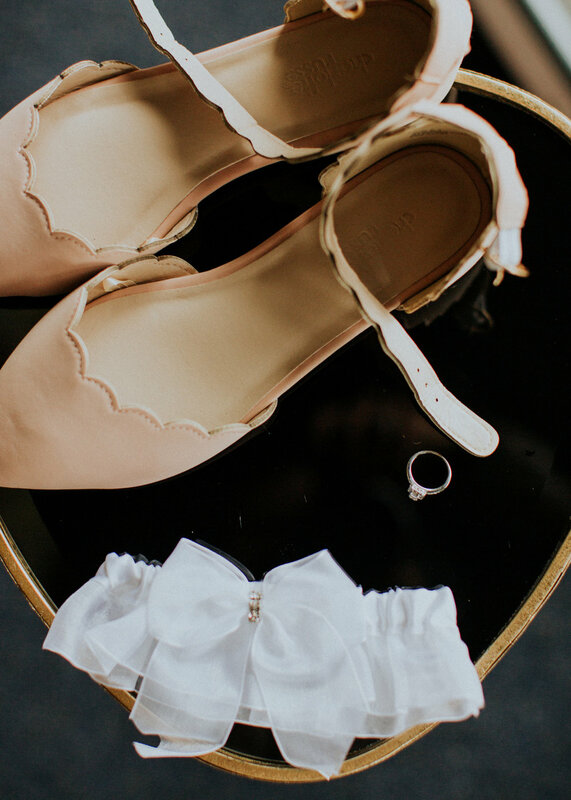 She killed it on her wedding day in an Essense of Australia ballgown and we are obsessed! 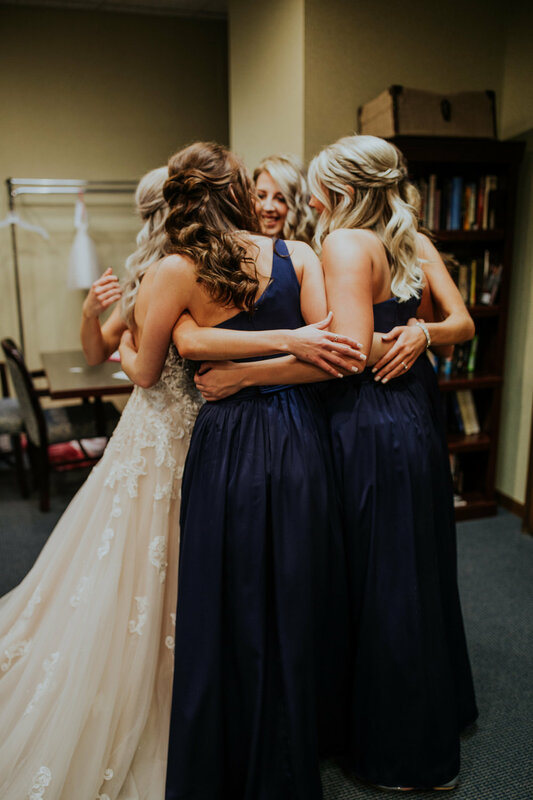 Forget Me Not Floral created Jill and her bridesmaid's beautiful bouquets. 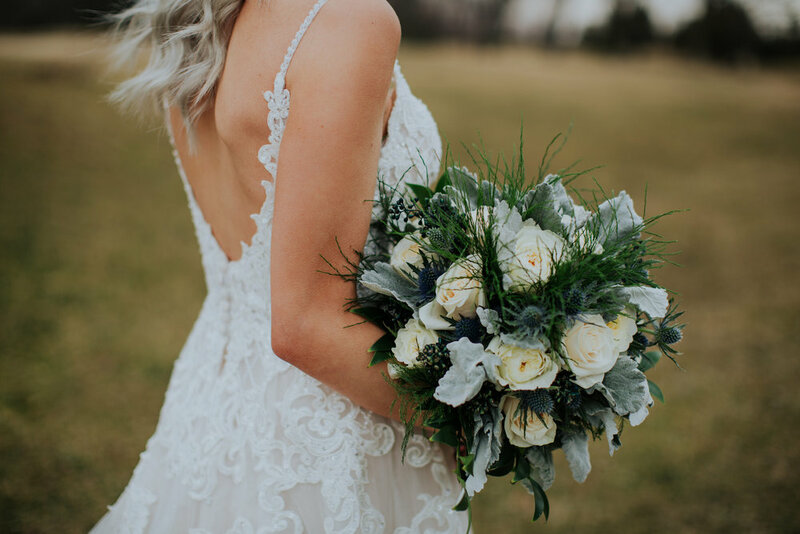 The unique flowers and dusty blues she chose are giving us life! 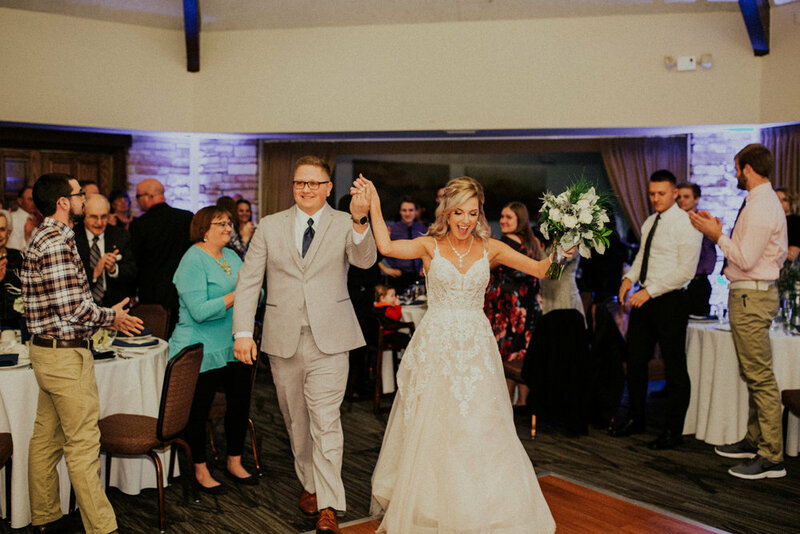 Jill and Taylor got married at Briar Ridge Country Club on a spring afternoon with possibly the cutest flower girl and ring bearer we've ever seen! The day ended with a beautiful reception full of emotional speeches, a fabulous cake, and of course, dancing! Let's learn more about these lovebirds! How did Jill and Taylor meet? 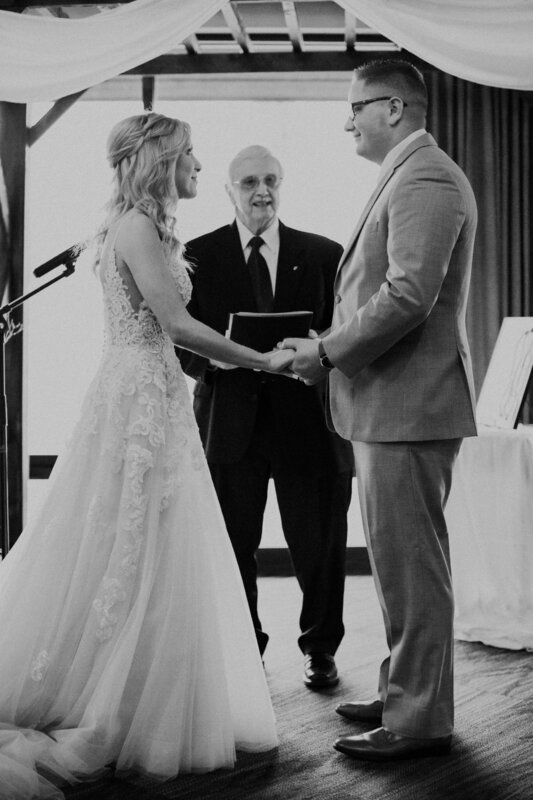 "Taylor and I met when I was visiting his church one Sunday about six years ago." How did Taylor pop the question? "Taylor, myself, his brother and his brother's girlfriend all planned a trip to go to Sacramento, California to visit Taylor's relatives and go sight seeing. His uncle is a videographer for a large church out there as well. While we were visiting San Francisco for the day, his uncle mentioned us volunteering to do a video for a message about relationships. I was very much against doing the video, however I tried to keep my feelings mostly to myself hoping that they would forget about it later in the week. The next few days we went and visited his brother in Lemoore, California. When we came back we had one final day in Sacramento before heading back to Indiana. 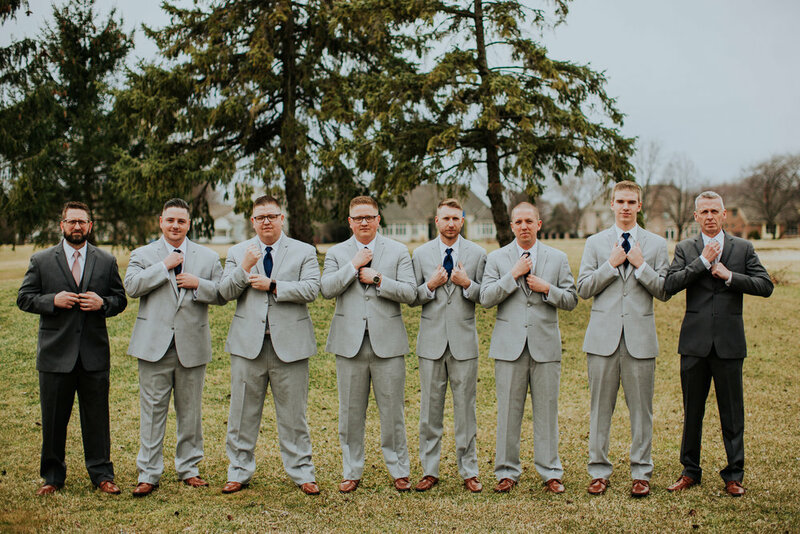 That morning we woke up and were told to get ready because we were going to do this video quickly before celebrating our last night all together. I was so upset and even called my mom telling her how upset I was and how I did not want to do this video. She encouraged me to just get it over with. For those closest to me, they know how nervous I get in situations like this one. Well, we finally made it to the sight of the video shoot which was ironically the spot that I had fallen in love with when we had visited a year prior. We got hooked up to the microphones, cameras rolling and started the video. At the very end we answered the question, "how did you know they were the one?" After Taylor finished answering he got down on one knee and proposed! Best. Moment. Ever." Such a perfect moment! Was she surprised?? "It was a complete surprise!" 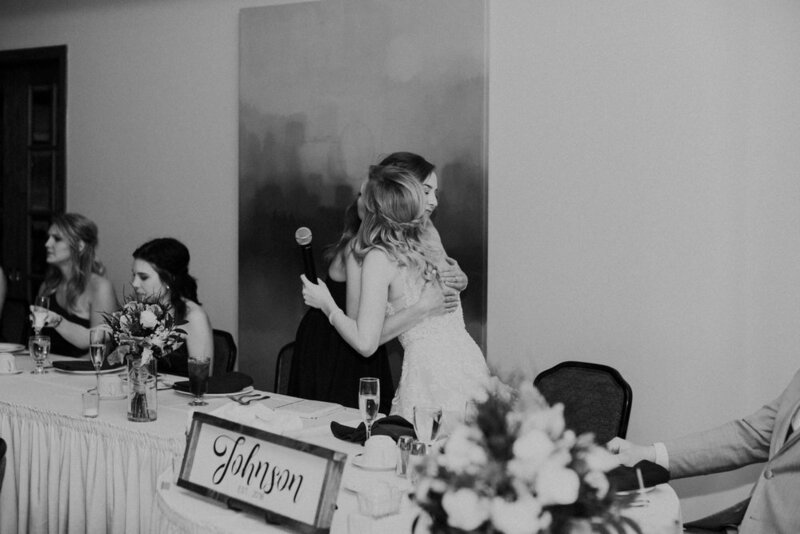 What was Jill's favorite part of her wedding planning? 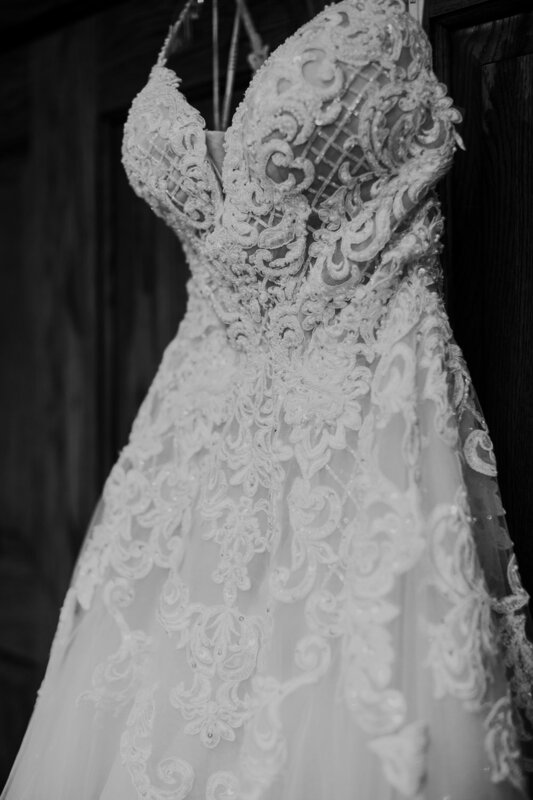 "My favorite part of the planning process was picking out my dress. I felt like an absolute princess. The atmosphere of Something Blue, Colleen who assisted me, and having my closest family there supporting me really made me feel amazing." We loved working with you Jill!! How about her least favorite part? 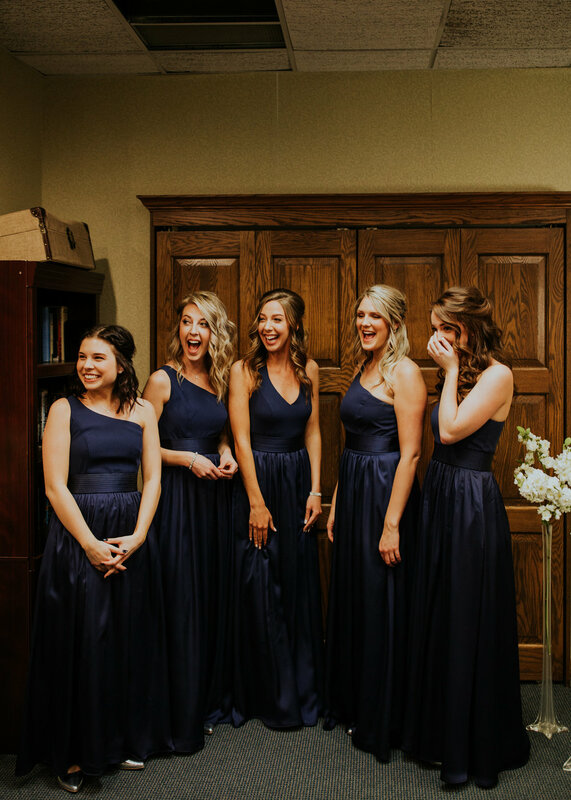 "My least favorite part of the planning process was probably making the programs for the ceremony. I'm not crafty AT ALL. Making them alongside my mom was great, but I hate crafts so much." What was her favorite moment of the day? 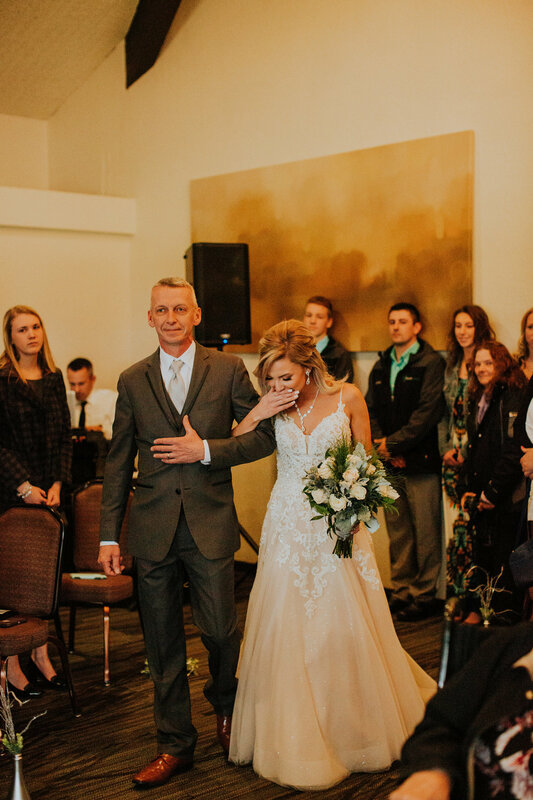 "I don't think I can actually pick my most favorite part of the wedding, but one of my top favorites was when the best man and maid of honor gave their speeches. My twin gave the most beautiful, thoughtful, loving speech. Taylor's brother made us all laugh and then cry, which was perfect. In that moment it just brought me back to growing up. They reminded us of where we came from and all the moments that led to us saying "I do." Those words and that moment will be something I'll never forget." So special! Jill's biggest takeaway from the planning process? "My biggest takeaway from the whole process is to be involved enough to make decisions, but not too much that it gives you complete anxiety. I really had my mom take over which was great and it worked out for us, but looking back I regret putting so many decisions on her and leaving her with all the pressure to make things amazing. It worked out and my day was perfect, but I regret putting all that anxiety on her." What was Jill's best advice for brides-to-be currently planning their big day? "Best advice I can give from the whole process is don't lose sight of what's important. 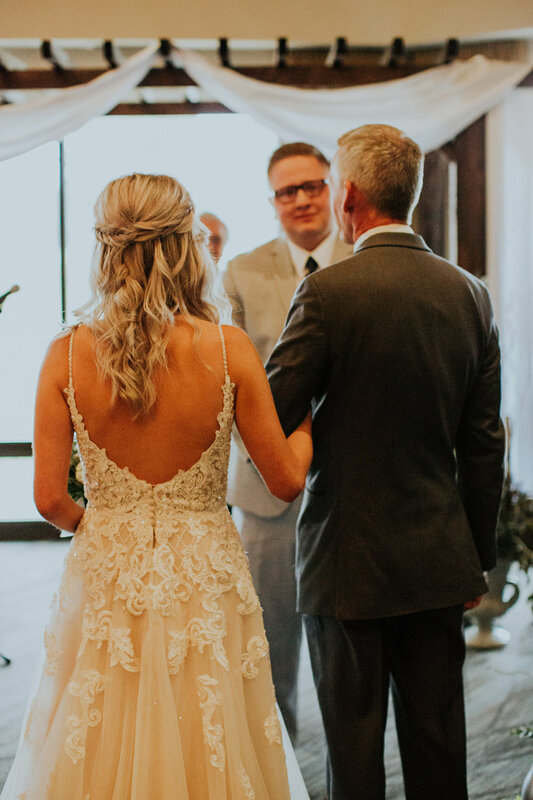 I think I held true to this for the most part, but it's so easy to slip into making it all about the actual wedding rather than about God bringing two people together to vow to love one another forever." Congratulations Jill and Taylor!!! We hope you have a beautiful future together and are so glad you shared your day with us! Check out more of their stunning photos below!